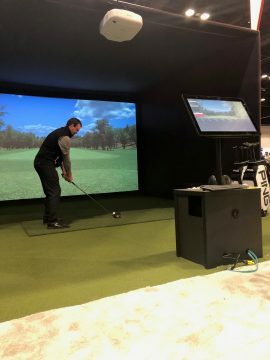 The STI Booth at the 2019 PGA Merchandise Show. 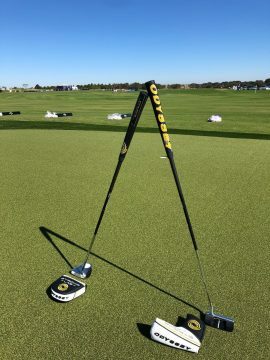 The calm before the storm of Demo Day at the 2019 PGA Merchandise Show. 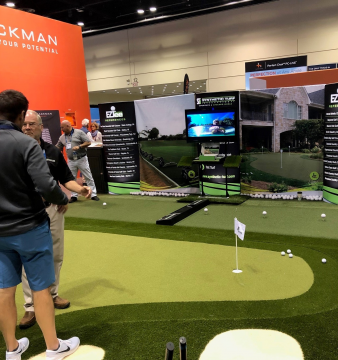 Packed Callaway putting green inside their booth at the 2019 PGA Merchandise Show. 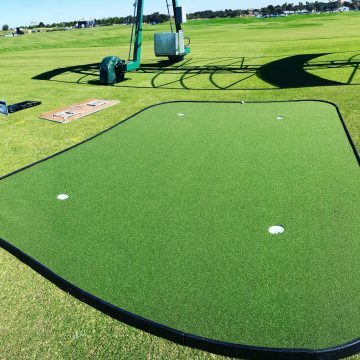 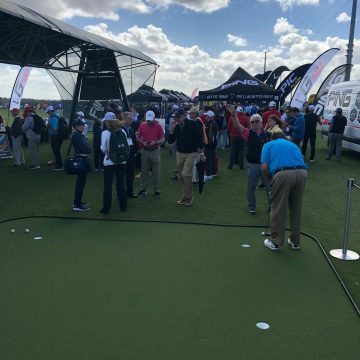 Ping’s Demo Day putting green at the 2019 PGA Merchandise Show. 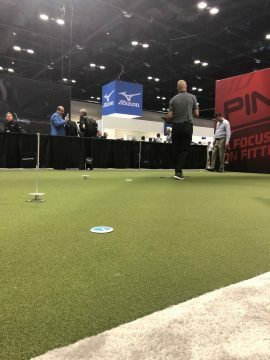 Ping’s putting green in action at Demo Day at the 2019 PGA Merchandise Show. 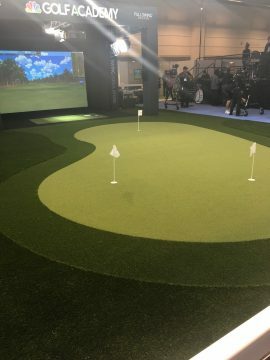 Our turf inside the simulator bays at the Ping Booth at the 2019 PGA Merchandise Show. 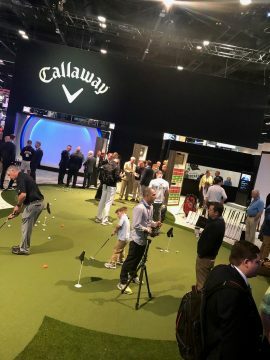 Inside the Callaway booth at the 2019 PGA Merchandise Show. 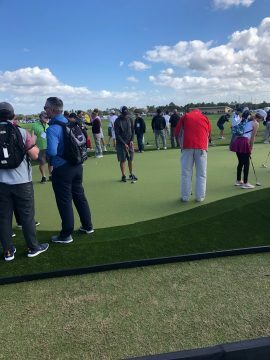 The Golf Channel Studio putting green at the 2019 PGA Merchandise Show.